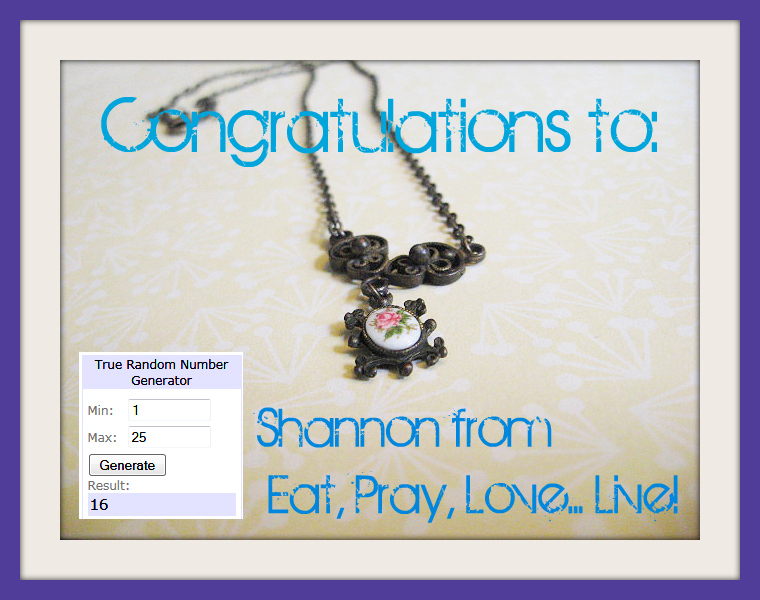 We have a winner for the Cdot Designs Giveaway! Woohoo! Please join in congratulating Shannon at Eat, Pray, Love.. Live!